Welcome to our secure payday loan form! To get started, please provide us with some basic information about yourself. * All requested information is required unless otherwise indicated. Your permanent home address is required to verify your identity. Your birth date is required to verify your identity. Please provide a valid email address where you can be reached by your lender. You may receive emails to confirm your submission, as well as additional email reminders prior to your loan repayment date. List a number where you can be reached by a customer service agent in the event they have a question about your loan request. 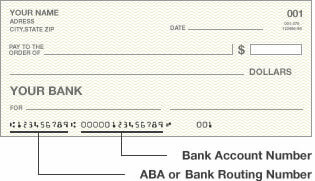 This will ensure that you get your cash ASAP in the event there is an error on your form. Are you in the military or a military dependent? Lenders use your social security number to verify your identity. Most lenders will not perform credit checks. However, credit checks or consumer reports through alternative providers may be obtained by some lenders. Typically, these reports will not affect your credit score. Driver's License or State ID Number? If you are retired, receive SSI, and/or your primary source of income is not from employment, please select "Benefits/Govt Programs." How often do you recieve a paycheck? You receive your paycheck the same day every week. You receive your paycheck the same day every other week. You receive your paycheck the same day every month. When is your next payday after that? Do you get paid using direct deposit? In the event you can't be reached at your other contact numbers, lenders may attempt to contact you regarding your loan request at this number. Lenders will not disclose they are from a payday loan company. Please use your home phone number if you are retired or receive disability income. Since money will be electronically deposited into your account, this information is required to complete the transfer. Make sure the information you provide accurate in order to ensure you receive your funds ASAP. Please click the button below to submit your form. Once you submit your form, we will introduce you to the lender that can best service your loan. Additional information such as interest rates and due dates will then be disclosed. You can elect to accept or reject the terms of your loan at that time.